A mystical land of ethereal desert, snow-capped volcanoes and endless salt flats, the Atacama Desert is like nowhere else on earth. It is a place where visitors arrive with intrigue, and leave in total awe. Sitting high up in the Altiplano of northern Chile, the Atacama Desert is known for its captivating landscapes of sand dunes, hot springs, canyons and geysers. Here, glowing sunrises and mind-blowing sunsets are the norm. After dusk, the sky is illuminated with a canopy of blinking stars, a sight unmatched anywhere else in the Southern Hemisphere. Come morning, noon or night, the Atacama’s natural splendor and enigmatic energy is inescapable. Snaking through the desert are the Andes and Domeyko mountain ranges, whose peaks can be admired from the comfort of Tierra Atacama. The Licancabur Volcano stands over the desert at an imposing 19,420ft (5,919m) and can be admired from all areas of the hotel. In the shadow of these immense formations lie rocky, wind-hewn gorges in shades of burning red, giving you the feeling that you’ve just landed on the moon. The trickling streams and waterfalls serve as a reminder that you are still on planet earth. You’ll also discover the incredible flora and fauna which thrives here, alive and well in the world’s driest desert plains. Some may be surprised at the incredible array of life to be found in the Atacama Desert, given its extreme climate and unforgiving terrain. However, there is plenty here to keep wildlife enthusiasts happy. Our guides will lead you to the feeding grounds of multiple animal and bird species, including three different types of Flamingo; Suri, Guayata and Tagua. You’ll also come across mammals such as Llamas, Vicuñas and Vizcachas. Many of our excursions in the Atacama will get you up close to these endearing creatures. As for the vegetation, the Atacama shelters an abundance of trees and plants, such as Algarrobos, Chañar and Schinus Molle. You can’t miss the ever-eye-catching Giant Cactus, which is as impressive as its name may suggest! Atacama shrubbery and bushes also come in all shapes and sizes. The native Rica Rica bush plant is particularly known for the delicious, medicinal herbal tea infusion which the locals make from it. The town of San Pedro de Atacama is an oasis in the desert, fed by two rivers: Grande and Salado. San Pedro can be found at 7,900ft (2,407m) above sea level and with a population of 5,000. The town is encircled by active and inactive volcanoes, deep caves, salt flats and many other extraordinary, natural geological phenomena. The town is also an interesting destination to explore in its own right too. There’s a range of restaurants, a historic church and handicraft market, as well as streets shaded by gnarled desert trees and lined with hand-made fences. San Pedro de Atacama has been the home of Atacameños for millennia, with a rich anthropological history dating back as far as 10,000 years ago. The people of the High Andean plateau are descendants of the Incas and Aymarás. For centuries, they have managed to prosper in this unyielding landscape, forging a culture, livelihood and set of traditions unique to the region. An inherent respect for nature and sense of community is evident. It’s clear to see how traditional lifestyles reflect close connections to the earth and the cosmos. Gain a greater understanding of the lives of Atacameños on one of our excursions to the nearby Ayllus, which make up the town of San Pedro de Atacama. For a real-life history lesson, our guides will be on-hand for trips to ancient archaeological sites in the region, such as the 12th century fortress of Pukara de Quitor, or the ancient petroglyphs at Hierbas Buenas; a truly captivating glimpse back in time. Another fantastic way to explore the Atacama culture is to simply pick the brains of our expert guides. They’re happy to tell you about the secrets and day-to-day life of the Lican Antay, Twanaku and Inca peoples who dwelled here. Today, local customs are alive and well in the Atacama, from religious ceremonies taking place throughout the year, to craftwork and folk art. Local craftsmen create with the same passion as generations before, demonstrating the endurance of artisanal passion. 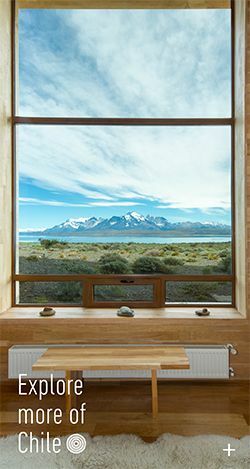 You can see examples of these regional cultural expressions in our living spaces at Tierra Atacama; find out more here. In the Atacama Desert, the air is crisp and the light is ever-changing. This arid expanse sprawls across almost 50,000sq m (80,000sq km) with little or no sign of man-made life and at times, zero cloud cover. The light pollution here is incredibly low, making stargazing in the Atacama Desert an unparalleled experience. Indeed, the Atacama is considered one of the best places in the world for astronomy, which explains why the largest galactic observatory has been built here: ALMA. This project was established by the USA, EU and East Asian states, aimed at studying the inner workings of star constellations and planets throughout the known universe. You certainly don’t need to be a professional astronomer to enjoy the stars above you, though. You can revel in the sight of perfect, star-lit skies from the privacy of your own room at Tierra Atacama. Spot constellations on our specialized stargazing excursion, or simply sit back and take in the illuminated immensity.